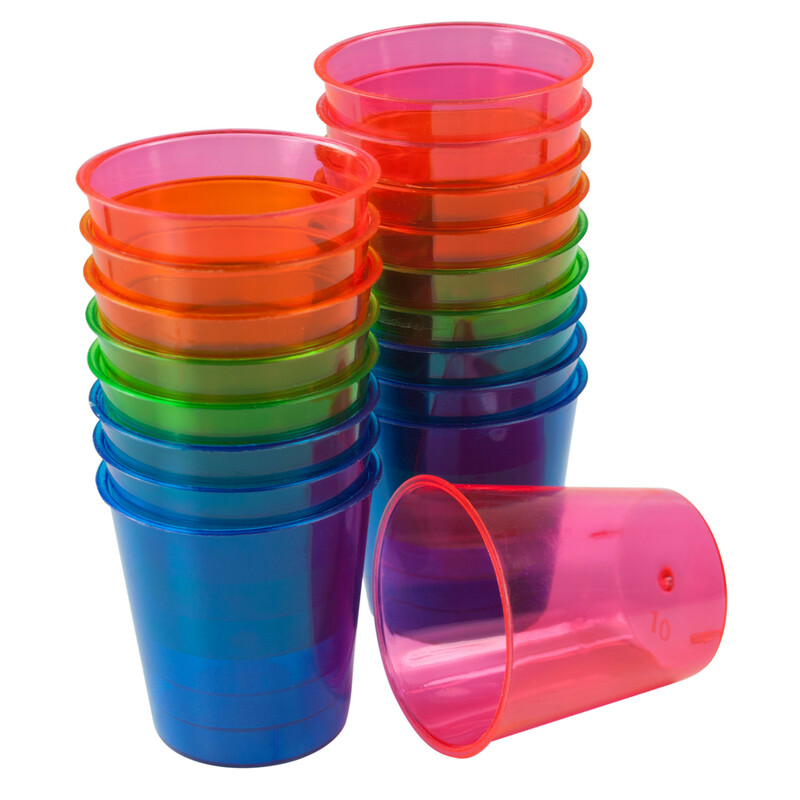 Shot glasses, pack of 18, 1 ounce each. Each package contains multi colored glasses. Unlimited uses for these great little glasses.